Fall hunting trips bring out the hunter in all of us. Just such a trip to southeastern Illinois is an excellent idea for an extended weekend or even just for a day afield. Excellent wildlife habitats and thousands of acres of public access land, make southern Illinois a paradise for the hunter. The combination of state, federal, and county lands provide hunters with more than 400,000 acres in which to pursue game and enjoy the outdoors. 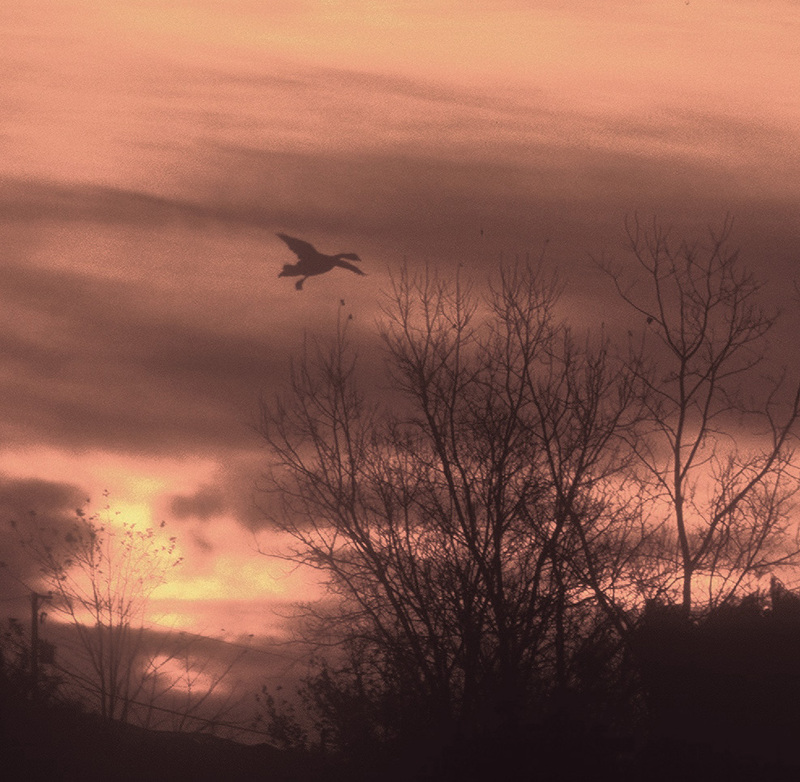 Weather and habitat conditions during the hunting season affect wildlife. Farm production schedules’ do also affect the presence of game in certain areas. If the crops have all been harvested the game may move to another area. Game is usually common in and around the agricultural fields. Although not abundant, quail are present in larger numbers than most of the rest of the state. Quail like areas with a good mix of row crops, small grains, legumes and grassland. Land connected by wooded fencerows and forest edges is best. Turkeys also like this type of cover and they are much more numerous. Illinois deer population owes its numbers to programs that brought back their numbers from a time when they were devastated by over hunting. The programs began in southern Illinois. Deer like grain crops but seek those fields located next to heavy edge cover and forests. They like to feed in the fields and feel more secure in the heavy cover as they rest. Rabbits prefer the abandoned farmsteads with their mix of row crops, small grain and shrubby fencerows. Southern Illinois contains probably the largest numbers of cottontail rabbits. Old pastures and forest edges provide the right combination of open areas with an overhead canopy that protects them from flying predators. Fall hunting trips also provide sportsmen with an opportunity to wet a line in one of the many lakes and ponds of southeastern Illinois. Such adventures are Cast & Blast trips. For a complete listing of the public lands of southern Illinois check the IDNR Digest of Hunting and Trapping Regulations available wherever hunting licenses are available. It is also on line or from the IDNR offices around the state. The booklet lists the properties, the game available and any special site-specific regulations that apply. It is fall and time for hunters to trek to base camp in southeast Illinois. Hunters should not look to public land hunting as a last resort. As someone who does not have access to private land and not the time to manage a private lease, there has been a need to resort to making productive use of public lands. The average hunter ignores many acres of public land. Public land located near home can be a savior of quality time spent afield. Maybe we could call them “stay hunts.” Many of us are familiar with the “staycations” that have become popular due to the present economic situation. With proper planning and care to details quality hunting opportunities are available. Pre-season scouting is helpful. However, it is not always possible to get out to the hunting area ahead of time. No matter where it is located all hunting areas are on a map. It can be a topographical map, GPS map, highway map, county highway department map or even something published by local wildlife agencies. Become familiar with the land regardless of species sought. Learn the location of natural structures that effect wildlife. Find food plot locations and in general find areas game is likely to prefer. Maps also aid one in locating the most remote portions of the property often overlooked by hunters. Game is not likely to stay near parking lots and roads. Hunters quickly use those areas first. Search out the dirty, thick cover where game hides during times of hunting pressure. Cattail swamps, briars, weed fields and such are where most public land hunters will not readily enter. It is common logic that would lead one to hunt public areas during the week. On the weekends and in the early days of any species specific season you find the heaviest hunting pressure. Toward the very end of the season you may even have the entire area to yourself. 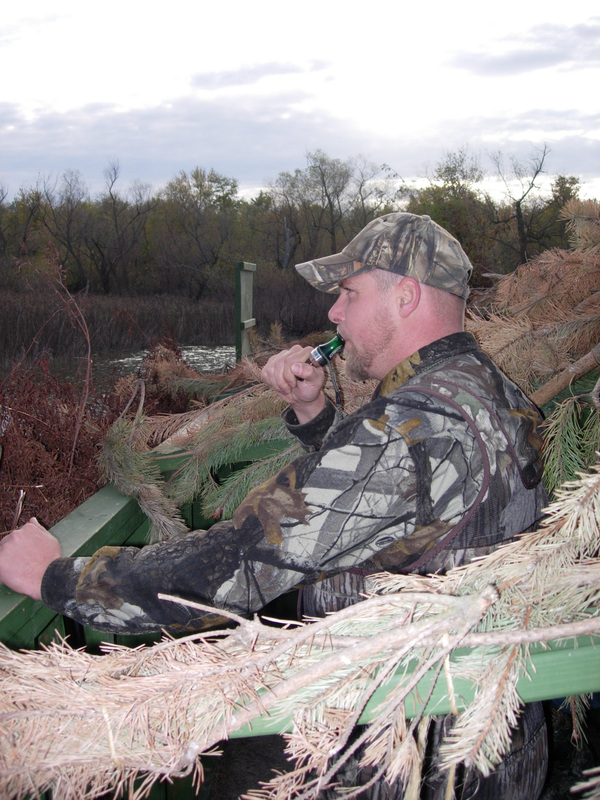 If you cannot hunt during the week, use the hunting pressure to your advantage. Movement of other hunters often drives game. Figure where that game is most likely to move and set up your hunt accordingly. It helps to be aware of any hunting that is likely to be going on in adjoining land. Hunters there may drive game onto public land. Know the exact boundaries of the public land to avoid trespassing fines. Trespassing can get expensive if the landowner is not understanding of your mistake. Fines are high. It is good to know the location of buildings and livestock areas. Just because it is taxpayer land does not mean that you can do anything you want to it because your taxes paid for it. We all share the land. In most cases it is first come first serve on a hunting spot. It you are hunting an area and come across another hunter, do your best to avoid him or interfere with his hunting. On the flip side, if you are hunting in an area and see another hunter approach, make sure he knows you are present. The best practice is to whistle or shout. Once you have his attention, wave you hand to make him aware of your location. If he is considerate, the other hunter will move off and make way for both of you to have your own areas. Do not let rude behavior, yours or his, ruin your day. Some hunters stay away from public land hunts and that is their right. But, just because it is public land does not mean that it is not a good place to hunt. Common sense and courtesy go a long way toward you and other hunters enjoying a great day afield. Decoy spreads for teal with blues and green-winged decoys are set out in small groups of three to five. Set them in a well-defined fly and kill zone with some 5 dozen of the groups spread out to maximum the kill zone. 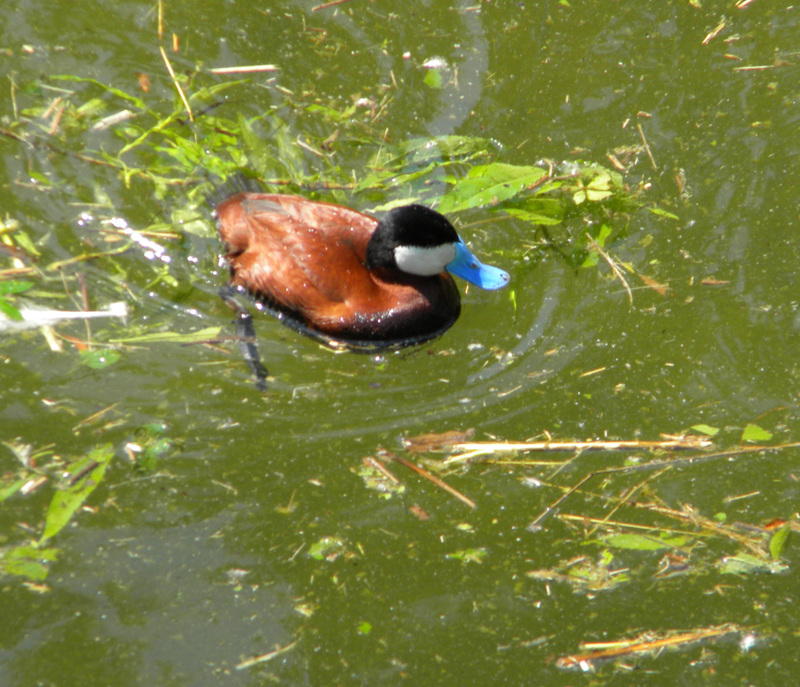 An open area allows the teal to fly in and still does not intimidate them. When the decoys are properly in place the teal will drop low and fast right onto the water. A teal call emits a very high pitched, single reed sound like a mallard hen call. Teal seem to work very quietly. Uses a few soft feeding chuckles and a few short hen quacks. Then he let the call drop on the lanyard around your neck and prepare for shooting action. The birds on the water rise straight up in a tight group and out of range at what seems the speed of light. The report of a gun only seems to encourage their departure. Early teal season does not attract a lot of hunters. The birds are apparently very susceptible to cold weather causing them to migrate early. They seem to prefer hot, muggy weather and mosquitoes over frost and ice. Teal are dabbling ducks. They frequent fresh water marshes and rivers and feed by dipping or tipping. They will feed on the surface or only as far underwater as they can reach without submerging. Their diet consists of vegetable matter. Here their menu consists of water hemp, nut grass, millet, smart weed, insects and mollusks. 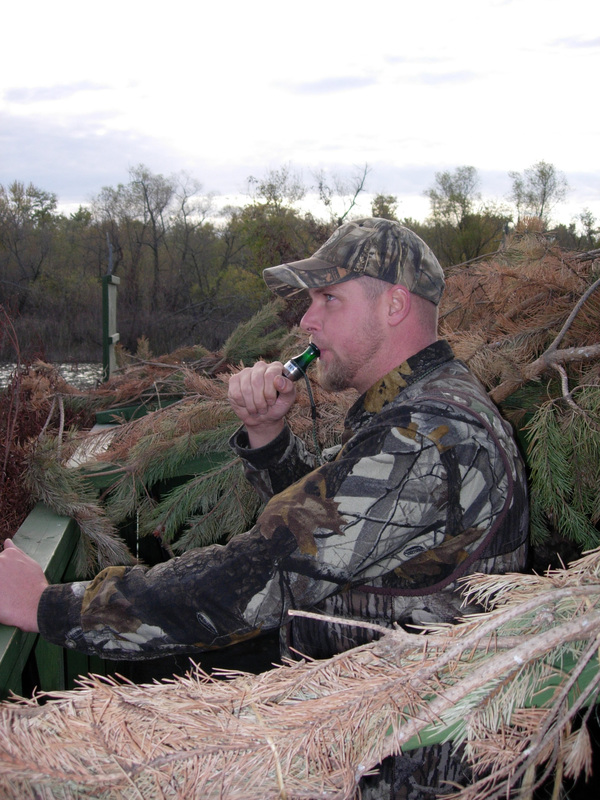 Although hunters may use a teal call, most hunters should leave their calls at home. Decoys are all one needs in a way of attractant. Teal, like other ducks, are social idiots. They want to be with other ducks. Most teal hunters use to much gun. A 20‑gauge with a modified or improved cylinder works well. The shot should be #6 steel as pattern density is more important than pellet size. The average size of a picked teal is about the same as a bar of soap. It does not take a lot of shocking power to down them. In preparation for teal season, it is a good idea to go to a clay target range. Ask them to throw some “midis” (90mm) and some “minis” (60mm) targets. Learn to shoot fast, crossing targets. They are the kind that if you think about the shot, they will be gone. If you do not have a trap range make one using a hand thrower. The Super Sport Hand Thrower from Champion Traps & Targets in Wisconsin (www.championtargtet.com) is a very serviceable alternative to the more cumbersome mechanical machines. They are inexpensive, portable and easy to use. The adjustable hand thrower is adjustable to throw standard, midi and mini clay targets. Preseason scouting is a good idea a few days before hunting. 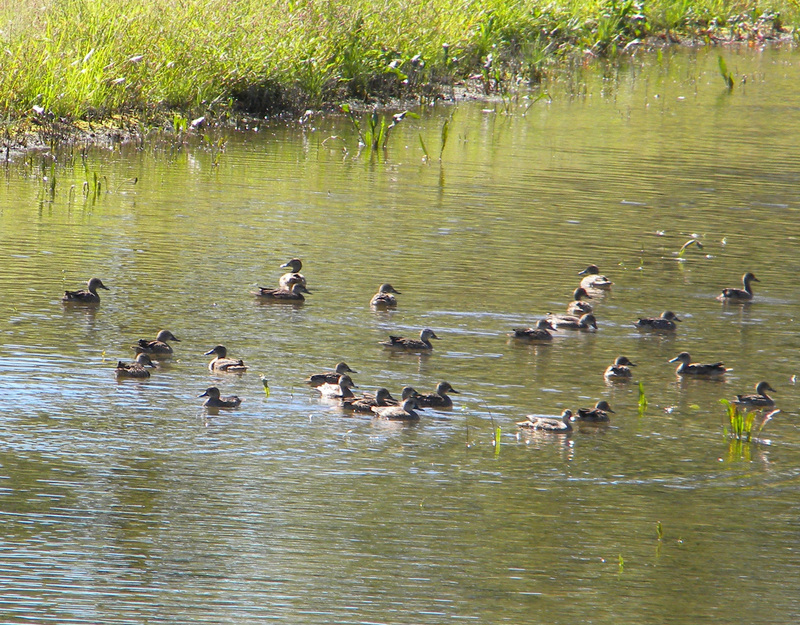 Teal hunting hot spots are fairly predictable from year to year if the habitat does not change. Teal hunting is fun and they are good on the table. This year why not get out and give them a try? Soon waterfowl hunters will be sneaking into their blinds as the black and orange streaks of the pre-dawn hours begin to appear in the sky. They have planned for this day in anticipation of great shooting opportunities. Many hunters spend the early fall days driving roads and making calls to landowners to get permission to hunt their land. This is sometimes without much success. Others plan to hunt public blinds in hunting areas owned by governmental bodies such as the Illinois Department of Natural Resources and various federal lands. Sometimes in the latter case due to demand exceeding supply they are unable to find a place to hunt as supply often exceeds demand. They can still turn to private hunting clubs. Throughout Illinois there are private waterfowl hunting clubs. Access to some is limited to members while others are open to the public on a daily fee basis. Lists of clubs are attainable from local tourism bureaus, Chambers of Commerce, their websites and advertisements in newspapers and hunting magazines. It is a good idea to talk with people who hunt there before making a commitment. It is also a good to talk with others who live in the area such as employees of sporting goods stores and anyone in the hunting goods business. It is impossible to go into an area and know what bird hunting success you might expect. But, you can talk with people who live in the area and they can tell you what birds are present and what they are doing. You can do this both before and during the season. 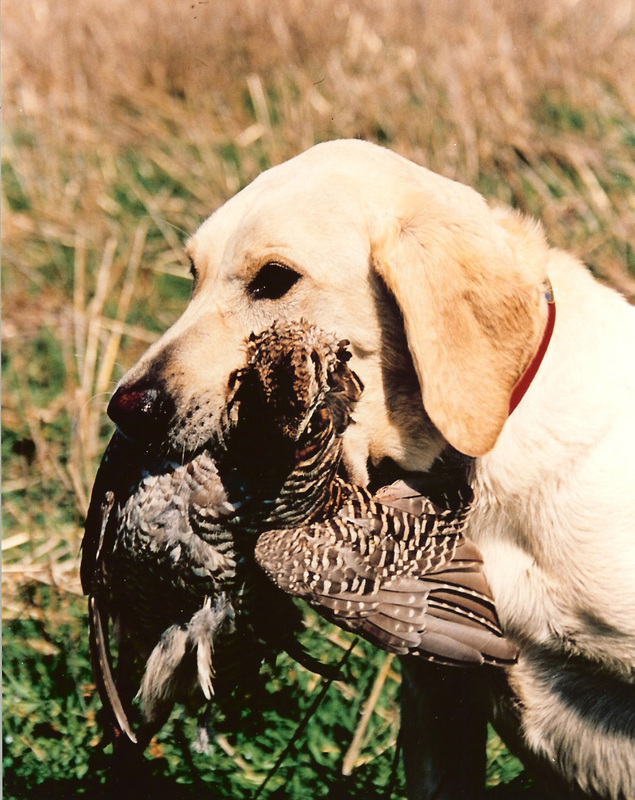 Many clubs welcome hunters bringing their own dog to retrieve downed birds. Other clubs prefer to use their own dogs and still others do not feel a dog is necessary. Most hunts are from blinds on land and/or water or from pits. The amenities provided at clubs can vary significantly. 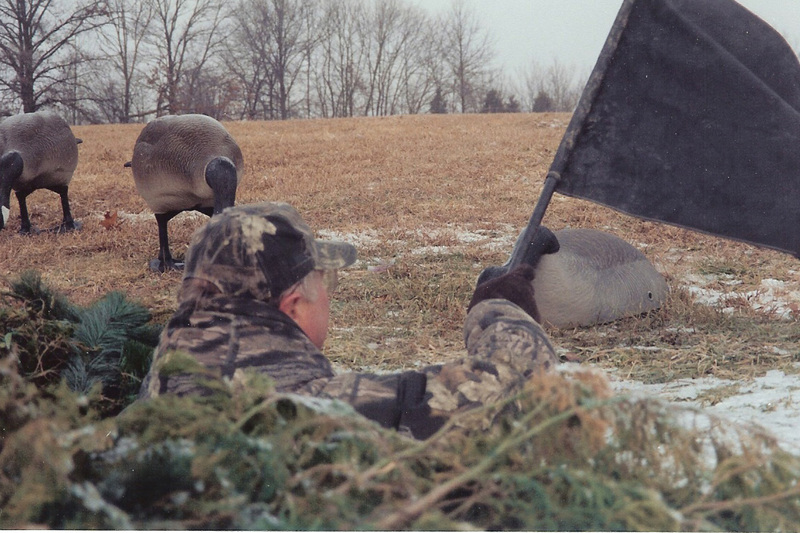 Most clubs provide transportation to and from the hunting sight, set up of the decoys, heated sheltered blinds and often provide snacks or even meals. Most provide a caller who is a combination guide, sometimes teacher, and is in charge of the hunt. He usually works for tips. All the hunter needs to provide is his shotgun, shells and warm camouflage clothing. All hunters are required to possess an Illinois General Hunting license, an Illinois Waterfowl Stamp and Federal Migratory Bird Stamp. It is a good idea to purchase them prior to the hunt as not all clubs have access to them and it is usually too early in the morning to purchase them locally. The Illinois license and stamp are available online but the Federal stamps are available the US Post Office or most other federal offices. Going to the outdoor show is always a hoot. 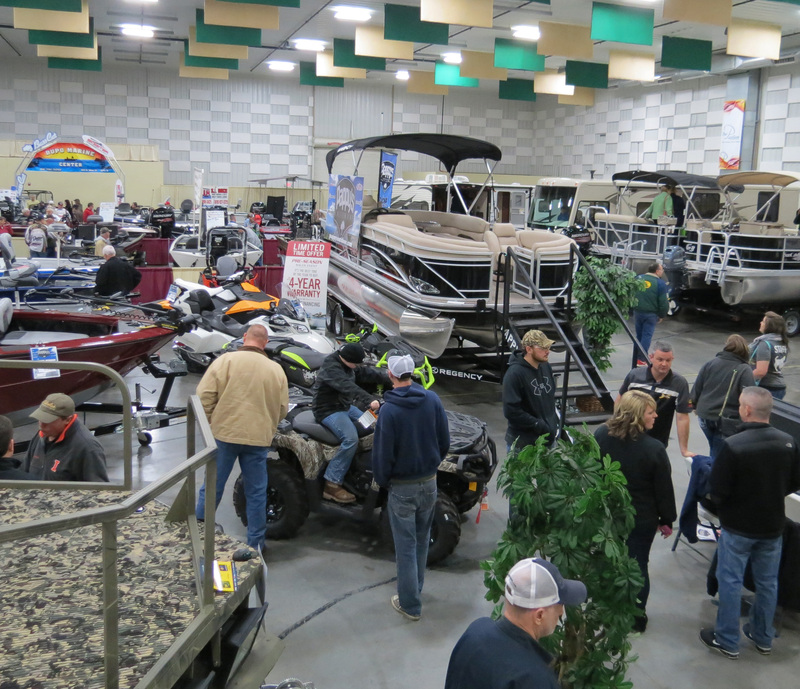 It is a chance to see what anglers from all over are buying. It brings up visions of upcoming trip opportunities and it is a learning experience. The key to maximizing knowledge from a boat show is advance preparation. A game plan will allow you to learn with a minimum of exhaustion. Begin on the Internet. Most all of the exhibitors web pages. So too do the sponsors of the show itself. Most shows are composed of thousands of square feet of products, places to go, and other bits of knowledge. Covering the entire show and still being able to focus on your favorite aspect of outdoor recreation takes effort. Some shows are so large that one feels the need of a GPS just to get around. Once you select the show, check the ads that appear in newspapers, magazines, on radio and television for specific information as to when the show coming to town. Look for the products and seminars that interest you. If planning to make purchases, make a list of the items you are seeking. Make two lists, one that you have to buy and the second of things you would like to examine. Perhaps you will buy something from the second list and maybe you just want to see it. Week day traffic is lightest and exhibitors can spend more time with you. Arrive early to allow maximum time to spend getting the information you seek. If you are with a group make arrangements to meet at a specific location and time. You may want to see different things. Kids do not want to spend the same amount of time at a booth as an adult. Wives want to see different things than do husbands. Once at the show, take time to look over the program you usually receive as you enter. It often has a floor plan and list of the exhibitors. Use a pen or highlighter marking pen to mark the exhibits and seminars of major interest to you. Make check marks beside the names of exhibitors who might stock the things you want to purchase. Make note of the time and location of seminars you want to attend. Some shows announce the seminars as they are taking place while some do not. Be sure you have a watch so that you do not miss your favorite speaker. Make note on the program of any last minute substitute seminar speakers or exhibits. Look for such changes the entrance to the show or at the seminar area. Take a cassette tape recorder to the seminar. Most speakers have no problem with your taping their speech, but it is important to ask permission first. Take notes in a spiral notebook. You might even have some questions that you hope the speaker will answer, prepared in advance. That way if he does not cover the subject, you can ask during the Q & A that usually is part of any seminar. Pay attention and avoid side conversations with your companions. If the subject is one in which you are intensely interested, sit near the front so that you can concentrate. If you are only passively interested, sit in the back or on an aisle. That way if you decide to leave during the presentation, you will disturb only a minimum number of other people. Wear comfortable shoes. You will spend most of your time walking on concrete. Hiking boots or a new pair of athletic shoes is a good idea as they provide support and cushioning for the feet. Older athletic shoes are not a good idea as they lack the support necessary to cushion your feet. They are like walking barefoot and can lead to foot problems as well as fatigue. If the outside weather is cold, then you need to do something with your coat. Carrying it is a nuisance. If the show provides a coat checking service, it is worth the cost. If not, perhaps you might want to leave it in the vehicle. A third alternative is to put it in a backpack. Backpacks are also a good place for brochures that you pick up at the show. You can acquire a considerable number of them in the course of visiting all the booths. Although the weight of a brochure is not much, the weight of many brochures is a lot. If you do not remember to bring your backpack, then look for a booth that is passing out plastic “shopping bags”. Look around at the other people carrying bags and check for reinforced handles. They are the ones you want. Another help is to take frequent breaks and examine what you accumulate. Sometimes it is stuff that you do not really want. You can stop for a soft drink and a hot dog while culling your materials. If after reading the brochure you still have some questions, go back to the booth and get answers. It is easier than calling or writing from home later. Finally, check your notes. Did you miss anything that you had intended to see? Attendance at sports shows is a great opportunity to gain a maximum benefit from your money.